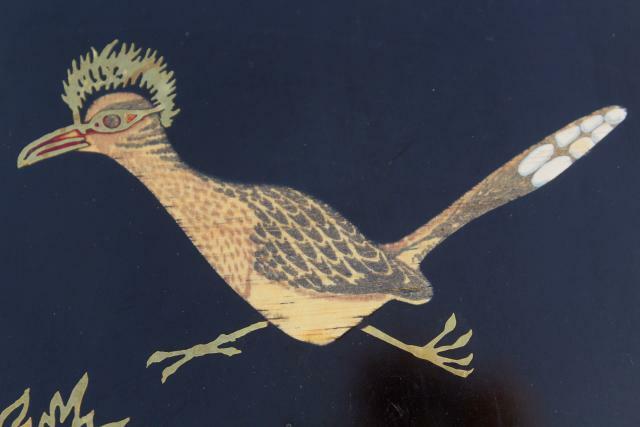 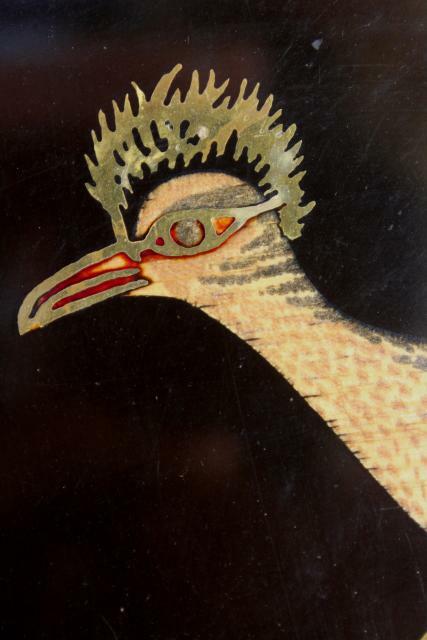 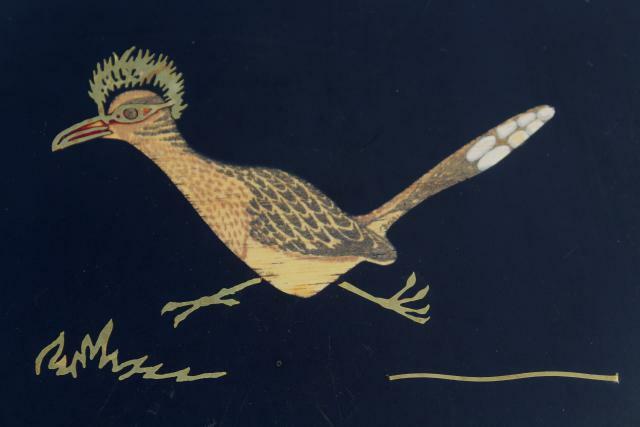 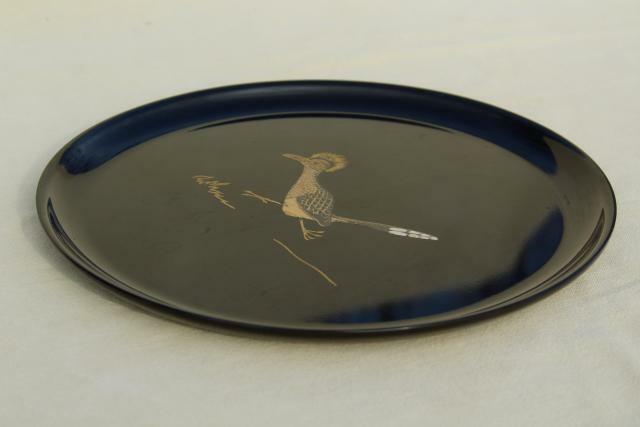 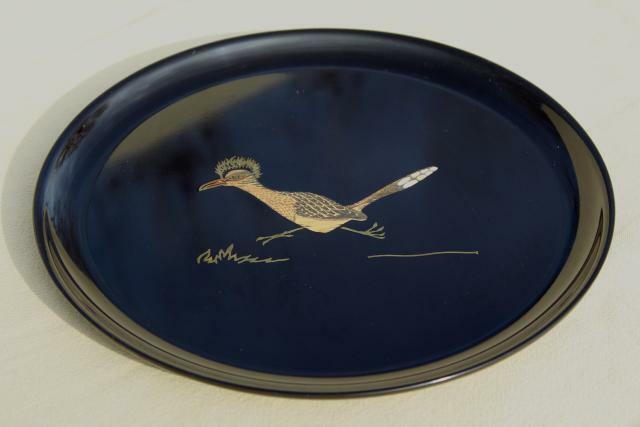 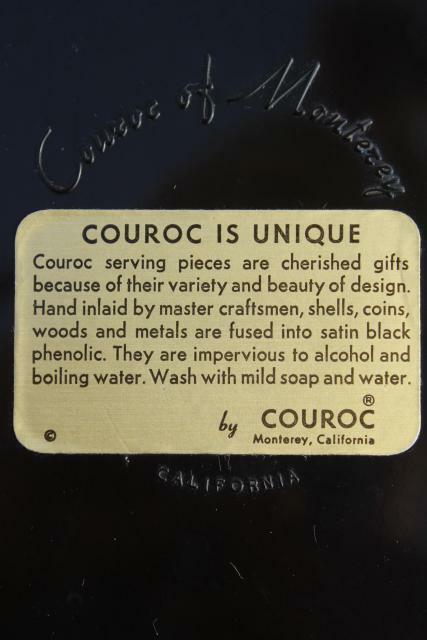 Mid-century vintage Couroc inlaid melamine tray with road runner bird design, a great piece for your western style decor. 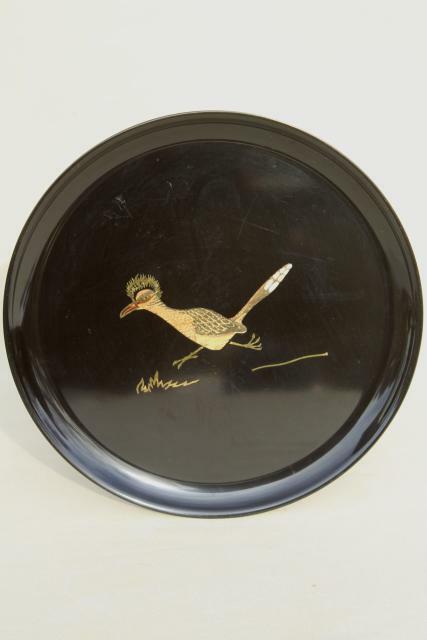 It's about 10 1/4" in diameter. 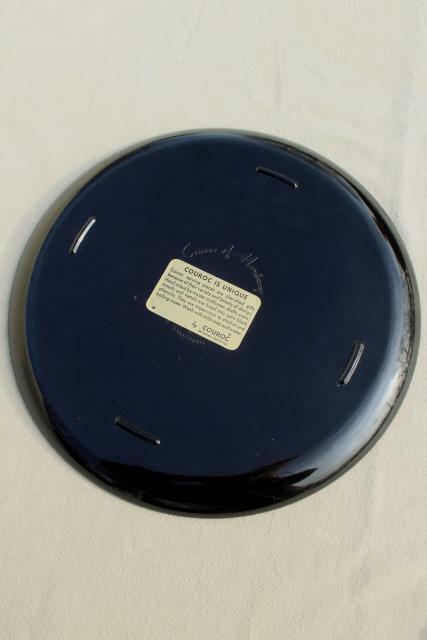 This has been used, but the surface looks good yet, without a lot of scratching or wear.